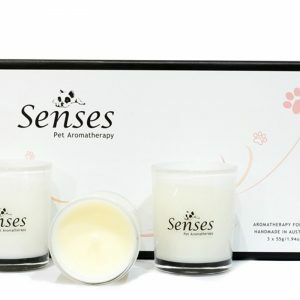 Is a combination using the proven therapeutic benefits of Lavender with added Yang Ylang, Frankincense and Cedarwood, to create a calm, harmonious and safe place for your dog to relax. *A portion of each sale will be donated to non-profit rescue organisations to help support the re-homing of adoptable companion animals. Love the second chance candle. 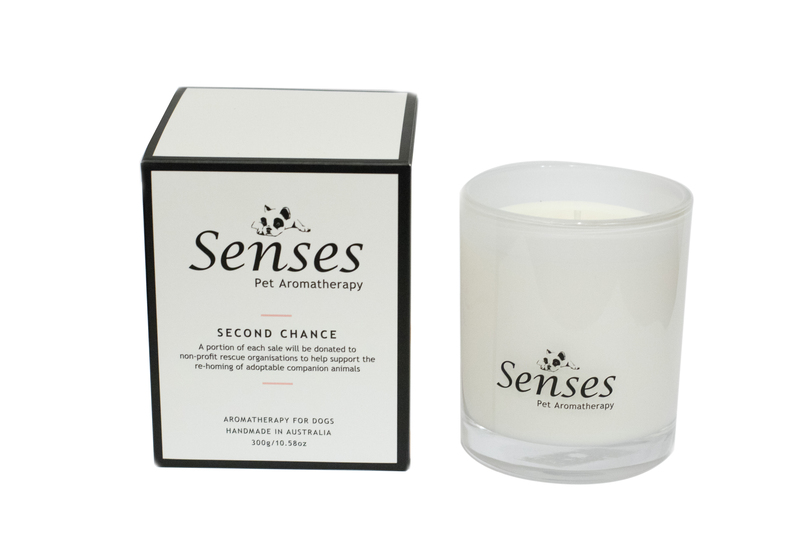 Beautifully packaged and lovely fresh, calming scent for the whole family. Especially great to know they are natural and safe for our dog. Will definitely purchase again. I found this product after deliberately searching for pet-friendly candles. I love candles and I love my dogs. I have to say in a rental property, these candles also formed part of my deliberate strategy during inspection times, as to what a lovely non-doggy smell the house had. I was really pleased with the aroma, and how long they lasted.